Thanks to the project Android-x86, now Android 4.0 is able to run in our PC stably. 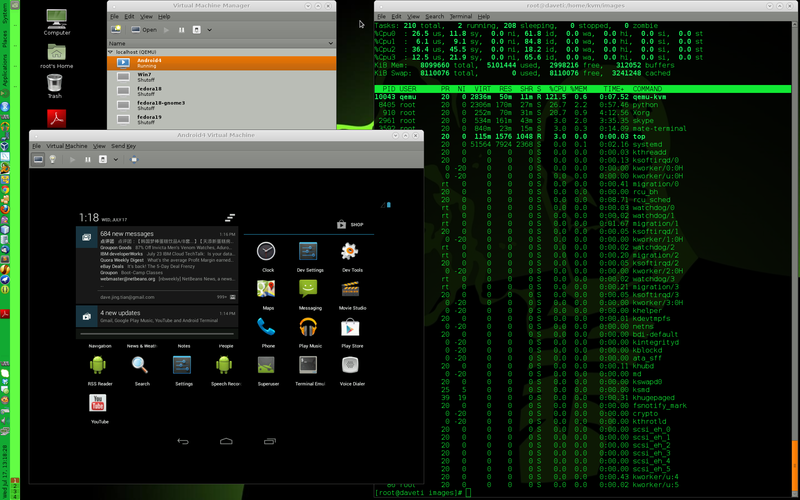 Just installed Android 4.0 in my Fedora 18 Linux using KVM – it is stable and cool! This post shares some key points for running Android in KVM. Have fun! a. Choose the format of your virtual disk to be ‘raw’ instead of others. b. Give the memory for your Android at least 2GB to accelerate the speed. This entry was posted in OS and tagged android, fedora, kvm, Linux, x86. Bookmark the permalink.